A devastated man who couldn’t come to terms with the shocking news of his girlfriend’s demise decided to get her an engagement ring. 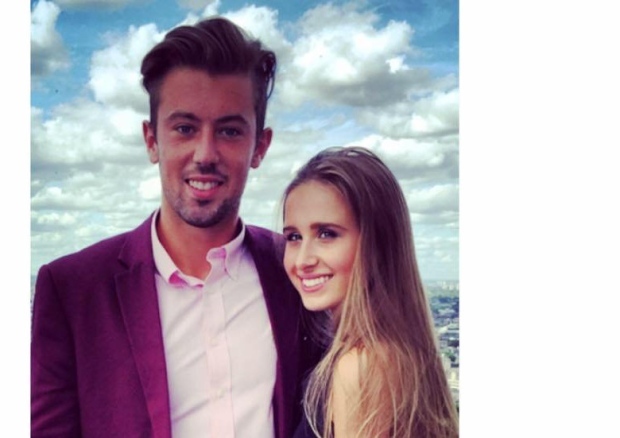 Not only did he get a beautiful diamond encrusted ring, Josh Thompson, of the British descent slipped it into the motionless fingers of 18-year-old Abigail Hall. He took some shots of the beautiful band and went on to Facebook on Friday, September 25, 2015 to announce that he just got Hall engaged. “Abigail Hall and I are now engaged,” Thompson wrote. Thompson disclosed that before death struck, they had plans to travel to Turkey, Dubai and then Paris for New Year’s Eve. South Yorkshire police said Hall had only just finished her first week of school at Sheffield Hallam University, studying Biomedical Sciences, according to her Facebook profile, when she was found unconscious. The Star reports that Thompson, was coaching tennis in Greece when he said he snuck away from a client dinner n the night of Wednesday, September 23, 2015 to Facetime his long-distance love. He called her phone and instead of Hall answering, it was a friend who broke the shattering news that his girlfriend was found not breathing. Thompson took the next available flight back home and after reaching her family’s home went with a friend to buy an engagement ring. He said, “The plan was to do this next year after her first year at University. “She is my life. Words can not express the love that I have for her, she was the reason I would wake up in the morning. “Everything we did felt real, she would always be there with a smile on her face, and she could never do enough for me. “There was no reason for Abbie to leave us. She had everything to live for.